Heat oven to 350°F. In 1-quart saucepan, cook butter over medium heat, 8 to 10 minutes, stirring frequently, until light golden brown. Remove from heat; cool 10 minutes. In large bowl, break up cookie dough. Add 3 tablespoons of the cooled butter, the flour and egg; stir with spoon or hands until well blended. 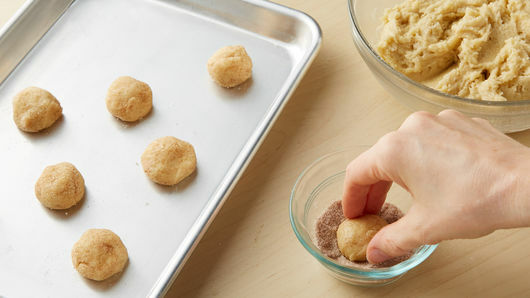 Shape cookie dough into 32 (1 1/4-inch) balls. Roll balls in 3 tablespoons of the cinnamon-sugar mixture. Place 2 inches apart on ungreased cookie sheets. Bake one cookie sheet at a time 10 to 14 minutes or until edges are golden brown. Cool 1 minute; remove from cookie sheets to cooling racks. Cool completely, about 20 minutes. Meanwhile, in small bowl, beat remaining cooled butter, powdered sugar and half-and-half with whisk, adding enough half-and-half to make smooth and creamy. 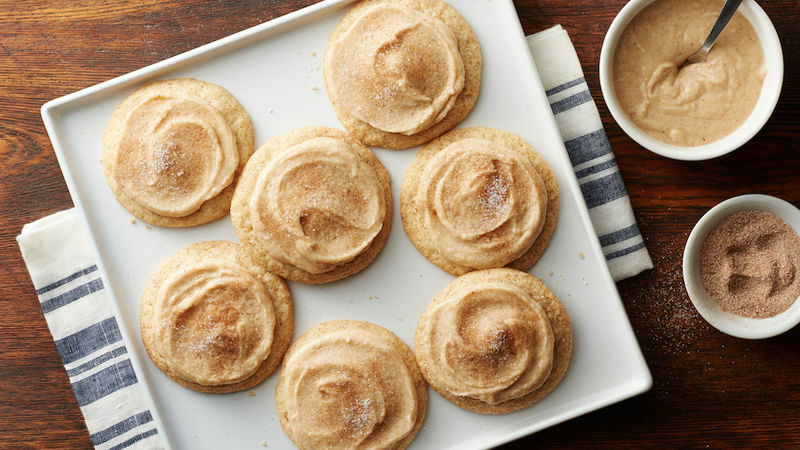 Spread over each cookie, then evenly sprinkle with remaining 1 teaspoon cinnamon-sugar. To make your own cinnamon-sugar, in small bowl, mix 3 tablespoons sugar and 1 teaspoon ground cinnamon until well mixed.